GlycanAid-HA Joint Advanced Joint Health Supplement provides the daily requirements for dogs requiring the maximum degree of support. GlycanAid Maintenance Joint Health Supplement provides the daily requirements for dog requiring mild to moderate levels of support. Here’s what some of our customers have to say about SmartShip! I am happy to tell you why I signed up for SmartShip and what I like best about it. First, you offer a discount for signing up, taking care of aging pets is not cheap so I appreciate breaks when I can get them. The best thing about SmartShip is I never have to remember to order products in time so that I don't run out. It is always when you are a day or two away from being out of something that you think about it. 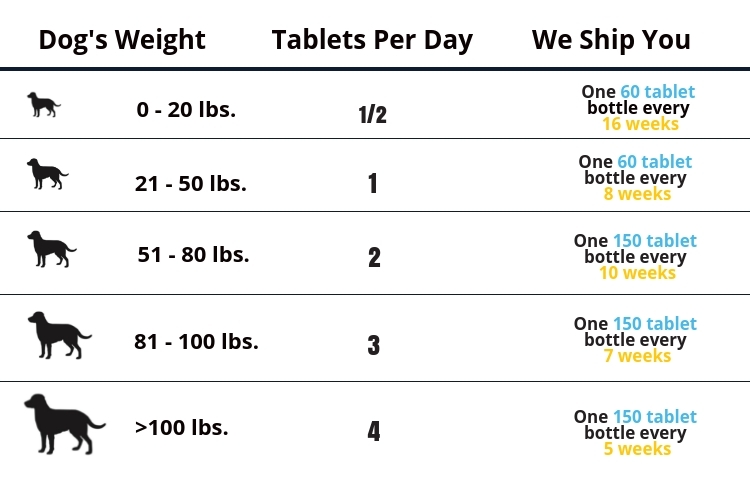 With SmartShip I receive the next supply of supplements in advance so I never miss dosing my dogs. I am thrilled with your products and your service. I like Smart Ship because I never run out of GlycanAid and I save almost $18.00! End of story, why wouldn't I use it?? I enjoy the Smart Ship program because I don""t have to worry about running out and it arrives in plenty of time. I signed up because it took one thing off my to do list. I don't have to worry about ordering on time. I really enjoy it. and I know if I need to cancel or have a problem you are there for me. Thank you. 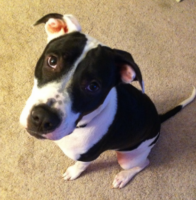 Your supplements and your rehab lessons have made my dog a happy and healthy dog. Thank you for all you do. I love the fact that I do not have to remember to order and if I need to make any changes to delivery date it is so easy! I signed up because I save 20 percent on each shipment that is a no brainer. Who wouldn't want to save on every order. My dogs cannot be without this great product! I love the SmartShip program! 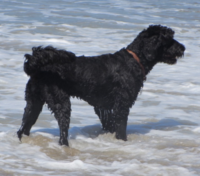 My golden doodle, Quinn, has been on GlycanAid since we adopted him at the age of 3, 5 yrs. now. He had FHO surgery 2 weeks before we adopted him.I found your program online the night before we adopted him and I immediaely put in an order. Because he has issues from a gunshot wound and the surgery, he now has some arthritis in his hip area. I would NEVER stop using GlyganAid. I started the program because a few times I ran out and had to make an emergency order. It’s a comfort knowing Quinn will always have the support on hand. We do end up over time having more than we need but it’s so easy-you just put in a call and can have the automatic shipments stop until you are about to run out and then start the program again. Another plus about having extra GlycanAid however, is a neighbors GSD was having serious issues and could hardly walk so I gave her some along with the information about Top Dog Health. Most of all, I like the fact that I never have to put in an order. Our lives get busy and it’s easy to run out. Thank you Dr. James for a great product and tools to help our beloved pooches! I signed up for the Smart Ship program with my dog's GlycanAid for several reasons: first and most importantly, I did not want to ever run out of this fantastic supplement! Before I got it on smart ship, I ordered it "as needed" and, inevitably, lost track more than once. Result, doggie did not get her pill and the pain was creeping back. She has severe hip dysplasia and a titanium plate in her knee to fix her torn meniscus. And arthritis in her shoulder. I saw a real and pronounced difference with constant use of the GlycanAid. So running out is NOT an option for my girlie!Second, and also important, is the cost savings which are so kindly provided with the program. Thirdly, the convenience--who needs one more thing to keep track of in their busy schedule? Not me! And the service is great--I appreciate always getting an email just before it ships as a reminder. The one time there was a mistake made, the customer service was quick to fix it and friendly too.So there is no downside. 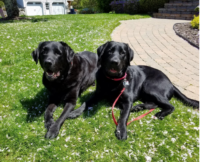 If your dog is lucky enough to be on GlycanAid, I can't for the life of me see why you wouldn't get the Smart Ship option!Thanks so much, Dr. J, for the incredible work you do and the life-changing supplements you have created! 1. I like the smartship program since it gives me one less thing I need to remember to do. I set it up to come every 5 weeks and it arrives right before I finish my current bottle and works out great. 2. 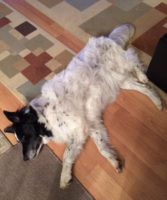 I started using the product right after my dog had his ACL surgery. I was googling information regarding the surgery and what to expect after surgery and found your website and was very impressed with all your information. I was giving him a different supplement at the time but liked what I read about yours and the reviews and thought I would give it a try and have been very happy with the product. I love the Smart Ship program because I get an instant discount on every order, and who doesn't love a good discount? It is also nice not worrying about running out of Felix's much-needed glucosamine. Just yesterday I was thinking about how it was almost time for a new bottle of glucosamine... When I arrived home from work, there was a box waiting for me at the door. How convenient! The sign up process was quick and easy and I now have one less thing on my to-do list. The thing I like best about the smart ship program is its ease of use and convenience. I have always been leery of these type programs thinking that it would become a nightmare if any changes would need to be made or if I would want to cancel. That has not been the case here. When I needed to make a change to the amount of Glycanaid HA I was receiving I made a simple phone call and it was taken care of immediately. What is not to like about this service, you get a discount, you don't have to rush around trying to place an order at the last minute, you are notified that your order is on its way, and it is charged to your credit card each month. So far I have had no problem with this program and will continue to use it happily. 1. I don't have to remember to place an order when supply starts to run low. I get the notification that it's shipped and it's here in about 2 days. I really believe it's a great product. My dog has been on it for 2 years after TPLO (85 lb shepherd mix) and is doing great. 2. Discounted price for being on auto ship. Hi Dr. J, The best thing about the SmartShip Program is the 20% discount. 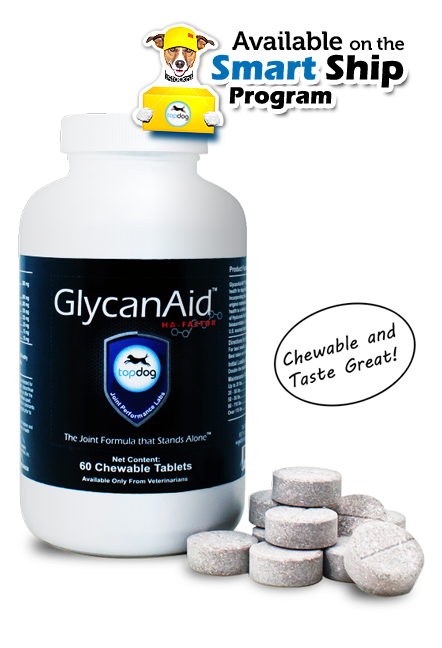 The GlycanAid comes automatically and at a discounted price. No worries. I am always looking for a bargain. 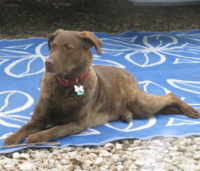 My 9 year old Chesapeake Bay Retriever, Rosie, had 2 knee surgeries - cruciate. Your videos helped me tremendously during her last recovery. We take walks daily and she runs through the sprinklers like a banshee. Other than an occasional stiffness when she overdoes it, Rosie is doing great! She takes no arthritis/pain meds. Thanks for your supplement and your SmartShip Program! Hi I have been using smartship for seven years. I live in NC so it's really convenient. I don't have to think about ordering each time and it is custom made to when you need it shipped. Everyone should try this because it takes one more thing off the list to remember to call. I have never run out. Martha in customer service is wonderful and will time the shipment for you. I also order omega three through this program. Thank you for offering it. My dog had two knee operations seven years ago and these products are the best. I would not consider using anything else. Hi Dr. J, I love the SmartShip program. It's easy to use and very convenient. I don't have to remember to place another order when supplies get low because the SmartShip program automatically sends them. I signed up for the program after trying out the first bottle ordered. 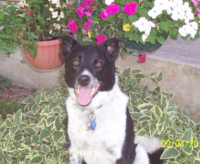 I saw significant improvement in my dogs and knew this was a product I would continue to use. And the 20% off was an added plus for me! Thanks so much for offering such great products! Hi Dr J, Your smartship programme is a no brainer. No need to remember when to order (a bonus in today's busy lifestyle) and 20% discount for life - what could be more easier. My dog loves them - takes as a treat after breakfast and dinner. Thank you for all that you do for our dogs. Julia and Zidane. Note: Your package will be shipped 1 week prior to ensure delivery and no lapse in having the supplement available for your dog. * By streamlining our manufacturing and shipping process we are able to pass our savings on to you. *** If you have more than one animal on our products simply call us at 888-504-2220 and we will set up the smart ship program tailored to you.